Reflect on what this means for social movements: the meeting minutes, manifesto drafts, position papers, poster designs, calls to action, button templates, carefully crafted tweets, Facebook event announcements and RSVPs, and myriad other documents of resistance already lost to bit rot. If we jump forward to today, our enthusiasm for cloud computing could spell just as dire an outlook for documenting our contemporary movements. The ephemera, strategizing, and documentation of contemporary social movements are at risk. Activists risk losing the official record of their actions when everything that constitutes an archive of social change is entrusted to third-party web apps and companies, such as Facebook, Instagram, Tumblr, and Twitter. We’ve moved relatively quickly from concerns about backing up physical hard drives – easily made obsolete by the collapse of companies (Iomega Zip Drive, anyone?) and the triumph of one file format over another – to blindly trusting that our organizations’ thinking and planning are safe “in the cloud.” After all, who actually reads the terms and conditions for using Google Docs, or any other service that allows for online collaboration and high storage at low cost? This is a call for better preservation of our historical legacy and guides to organizing for future generations. Like everything else we humans touch, archives are political. At the heart of calls for preserving our past – recent and even further back – is a question of trust. Who are activists going to trust with telling the history of their movements, achievements, and defeats? Who will be able to tell that story if our memories are locked behind a paywall, discarded, or misplaced as the result of a change in ownership of the services we use daily? Archivists and archival activists are engaged in meaningful debates, and praxis, over the politicization of records, the politics of organizing of documents, the archivist’s role in movements (active agents or passive collectors? ), and the power structures that dictate which groups’ records are collected and preserved.2 These debates are critical to activists and organizers because they determine who will know history and, importantly, how it will be known. What becomes of our digital records is part of this conversation. I’m proposing that we consider movements and our digital records in the context of “cycles of contention.” Think about these cycles as the opening and closing of windows of opportunities for people to realize that their problems aren’t individual failings, but systemic, and then to act on those grievances as a group. Sociologist Sidney Tarrow, in the 1990s, described these stages as a cycle of contention.3 First, as tensions mount and people begin to articulate their problems, there is a building and coalescing of concerns and movements to action. Next, ideally, we see activists becoming organizers, because they’re thinking about goals, strategies, and tactics, and innovating on forms of protest that have historically worked or failed. Third, we would see the creation of or dramatic changes within frameworks – how we make meaning out of our situation or frame our collective problems. At the same time, a movement would have people acting on the same grievances, but approaching them using different strategies. They might all be part of the same organization, or elements of a social movement “sector” spread out geographically. We’d also see, based on this new level of meaning-making and action, increased interactions between the people and those in power. This becomes a cycle because, win or lose, there will also be those in society with grievances that need addressing but, according to Tarrow, regardless of political stripe, the stages of the cycle will be similar. Grievance, meaning-making, strategizing, action, confrontation; repeat. It’s not too far of a stretch to suggest that our use of social media, web tools, and cloud storage is now implicated in each stage of this cycle. Take, for example, the Black Lives Matter movement. It’s indisputable that digital technologies brought the murders of Sandra Bland, Eric Garner, John Crawford III, and too many other African-Americans to our collective attention. The urgency with which young people, many of whom have never considered themselves activists, mobilize, create trending hashtags, disseminate meeting times, craft agendas, and spread slogans with digital tools and organizing strategies. These are cycles of digital contention, if you will, which update Tarrow’s schema. But how do we archivists and preservationists convey to those struggling, in this fast-paced moment, the importance of organizing archives? 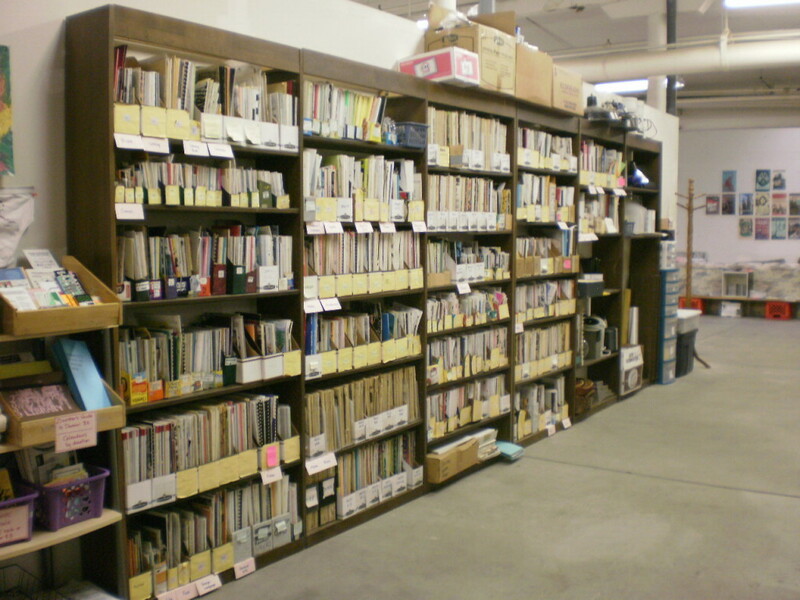 Those of us who care about preserving our organizing past for use in the future need to convey that an archive isn’t a dead entity – archives are a living repository. Maintaining our own records is the best chance we have of shaping our reality. Otherwise, the story that is told today in the mainstream media and by politicians seeking to criminalize and capitalize on dissent becomes the historical record as recorded by corporate archives and historical societies consumed by the history of “Great Men.”4 This shaping and documenting of our reality means that activists are building a foundation today that will allow future organizers to not have to reinvent the wheel. I want to reinforce these points, about archiving in general and digital archives in particular, by referring to my own experiences with the analog archives of black feminist activists and organizations. In this instance, the Federal Bureau of Investigations (FBI) was an accidental third-party archivist of radical history. In the 1990s, thirty plus years after the fact, I set out to construct a comprehensive history of 1970s black feminist organizing. There were plenty of magazine clippings in archives that normalized feminism as “a white thing,” the purview solely of white feminists. Black magazines contained articles with titles such as Encore magazine’s 1973 hit piece “Women’s Lib Has No Soul.” It was the allusion, though, to black women’s inclinations toward feminism in mainstream articles, such as a 1973 Newsweek article called “Feminism: ‘The Black Nuance,’” that encouraged my pursuit of black feminists and organized groups. More importantly, conversations with black feminists active in the era affirmed my research into this undocumented history. Archival research eventually revealed the existence of five black feminist organizations: the Third World Women’s Alliance, the National Black Feminist Organization, the National Alliance of Black Feminists, and Black Women Organized for Action, and the fairly well-known Combahee River Collective. However, more records existed un-archived rather than in institutional archives. Graduate students are taught, as historical researchers, a key question to ask our interviewees: “Do you have any personal papers or archives related to the organization that I could see?” I quickly learned that the best response wasn’t, “Yes, I donated my papers to University Archive X.” Instead, more fruitful was the unexpected, but often-heard: “Actually, I think I might have some papers in my basement/attic/storage unit/under my bed.” These archives, out of sight and prone to dangers such as fire and flood, lived on, unnoticed, until someone asked after them. One archival collection speaks to this idea of a living repository. To my knowledge, the FBI collected and maintains the most complete record of the Bay Area-based Third World Women’s Alliance (TWWA) newsletters. Based on a Freedom of Information Act Request request in the 1990s, the FBI sent me over 200 pages of redacted documents. I assumed, or hoped, these records would contain evidence of COINTELPRO action against the TWWA. While there were a few documents providing evidence of infiltration and agents provocateurs attending TWWA organizing meetings, perhaps more significantly the majority of the documents were copies of every newsletter the organization published from 1971-1974. If it’s possible to set aside for the moment the white supremacist violence and reprehensible violation of civil liberties wrought by COINTELPRO operations, this act of “archiving” a social justice organization’s activities provided a complete historical record of TWWA’s philosophy and actions. This black feminist socialist organization was dedicated to “the elimination of the oppression and exploitation” from which black and Third World communities suffered, and “tak[ing] an active part in creating a socialist society.” The TWWA organized a range of activities in black and Third World communities designed to model the self-determination they and other social justice organizations of the era sought. As I detail in Living for the Revolution: Black Feminist Organizations 1968-1980 (Duke University Press, 2005), TWWA’s work in black communities established a defining precedent for later black women’s activism, with the goal of ending racial, gender, and class oppression, or what we now call intersectionality. Should we thank the federal government for their spying, which resulted in an accidental archive that no other historical archive possessed? It would have been unheard of for the TWWA to consider the FBI their organization’s official archivist. So why are we letting Facebook or even blogging platforms like WordPress be the de facto archivist of our calls to action, poster PDFs, organizational records, and other born-digital materials? Let’s consider the FBI in the parlance of today’s technological structure: are the FBI and the U.S. National Archives an early version of a third-party platform, such as Facebook, Twitter, Instagram, SnapChat, or a host of other social media platforms? All of these institutions have their own privacy policies, terms of service, and archiving policies. Is it wise to entrust the work and legacy of our movements to corporate (.com), educational (.edu) and government (.gov) third-parties? If we download our archive using the tools a third-party service provider offers, do we know what file format we’ve entrusted with our archive? Do we have more than one piece of hardware and a copy of at least one software program that will be able to read those files two, three, five years from now? The Library of Congress offers a set of file formats that it predicts open source, non-proprietary software will be able to read in the future.6 We should revisit our files and save them in these preservation formats. Microsoft Word, for example, might seem now like it will dominate the word processing market forever, and some groups may opt for an open source format such as Libre Office. But PDFs, specifically the format PDF/A 1, not .docx, is the preferred format for long-term preservation of documents. The ideal backup archival and preservation-ready situation would be to have a copy of your group’s archives, in preservation acceptable format, on three different hard drives. These hard drive backups are then kept in different locations in case of fire, flood, or theft. Those hard drives would, additionally, be tested every year to make sure the files are accessible with the software you have on hand. As a final step, the files would be transferred to a new set of hard drives every five years. For further information, I’ll recommend the work of activist-archivist-researchers, such as Howard Besser and colleagues’ website, Activist Archivists. They offer sounds reasons for archiving your group’s records, as well as links to other organizations who are archiving movement history. Much recent archival work is related to the Occupy movement, but the advice isn’t exclusive to any one movement. It’s relevant to any social justice group that wants to preserve their work for their own use or that of future activists. There are still analog social movement archives being discovered and deposited into traditional archives. But if we’ve lost decades of social movement history due to digital degradation, or bit rot, we would do well to insert the production, archiving, and preservation of our born-digital materials as a crucial step into Tarrow’s cycles of contention. This kind of innovation, which couples social media with mobilization, risks being lost as quickly as it’s developed. Perhaps this is, as some activists argue, a good thing: keep challenging the status quo with new ideas and identities that are unexpected. But without a lasting record of all the new content, we’ll be left with remembrances of tools that may or may not have contributed to liberation. Whether we’re talking about the analog records of the past, or the digital records of the present, our theory and praxis lives in our documentation and records.